Niall Hemingway has been cast as the Wicked Witch in an Easter Pantomime of The Wizard of Oz both in Maidenhead and The Compass Theatre. The exciting, entertaining and timeless classic of The WONDERFUL WIZARD OF OZ brought to life by the same production company who produce the magical Compass Pantomimes. Young Dorothy Gale finds herself whisked somewhere over the rainbow to the magical Munchkin Land by a Kansas cyclone. Follow her journey along the yellow brick road to the land of Oz. Following a successful tour of the UK in late 2017, The Tempest is now available for touring in Southern Africa in collaboration with Mwezi Arts and Nanzikambe Arts (Malawi). Bilimankhkwe is working in partnership with Mwezi Arts and Nanzikambe Arts to make the Southern Africa tour a reality. Mwezi Arts is based at the Madsoc Theatre in Lilongwe, Malawi, where they operate a year round combined arts programme of theatre, music, fillm and poetry, hosting both local artists and international companies from the UK and Germany. Stephen Graney is off to Jersey to be part of Magpies and Mischief performing at the Jersey Arts Centre in March. There’s trouble on the Island of Jersey! Someone or something is tampering with the weather. Winters are wetter, summers shorter. The magpies are dominating the skies above the Island, while the rat population increases daily. The situation is grave. Emma and Archie are sent to stay with their aunt, Mrs Le Lever, at Juniper Lodge, next to St Brelades and Portelet Bay. It soon becomes clear that this will be no ordinary summer holiday when they meet Seamus, the Island’s only leprechaun, and join his band of wild animals to thwart the magpies and rats. Meet Lady Lulu Limoges, the coolest cat on Jersey, plus Rocky, the dog, Cactus, the hedgehog, Swivel, the wise old owl, Fidgit, the squirrel and many more. It’s a race against time to preserve Jersey as we know it. 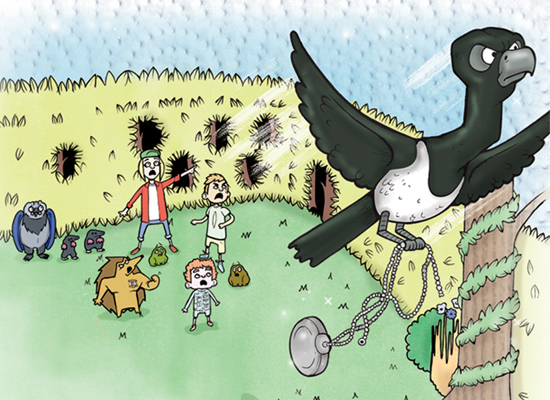 Will Tyson and his rabble of rats overrun the Island? Will Seamus’ magic dusts save the day…and who are the Jersey Royals? Join us in this exciting new play, taken from the book ‘Magpies and Mischief’, written by Jersey author, Dr. Cameron McPhail, which is receiving its world premiere at Jersey Arts Centre. 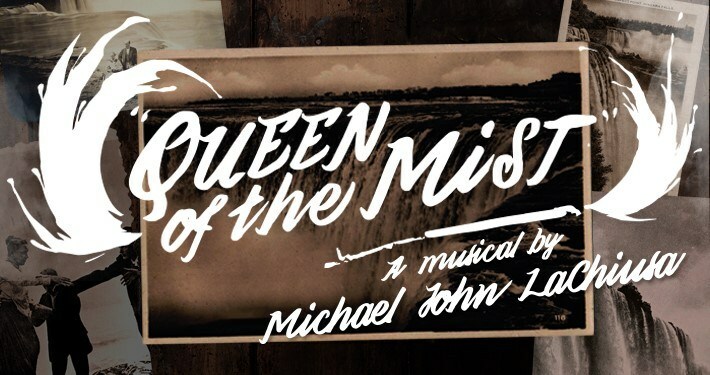 Emily Juler will be playing the role of Sister Jane & Tom Blackmore will be playing the role of The Soldier in the European Premiere of the musical Queen of the Mist at London’s Jack Studio Theatre in April.